Excerpts from my soon to be released book, Running Away: Memoirs of a Bishop’s Son. The Bible teaches, “In your anger do not sin”: Do not let the sun go down while you are still angry, and do not give the devil a foothold (Ephesians 4:26-27, NIV). Lately, however, I find myself experiencing moments of anger, frustration, and unwonted and silly irritations. I’m not sure if it’s an age thing or that I’m just not spending enough time praying and reading my Bible; or maybe I should be thinking and meditating on more positive things as Paul instructed in Philippians 4:8. (And no, I am not telling my age!) My friend tells me I need a dog. I disagree. I’m afraid that if I had a dog, I might take my frustrations out on this poor animal and then “man’s best friend” would end up biting me, running away, or both. Now, don’t get me wrong. I love animals, dogs in particular. I grew up with a number of dogs as family pets. As a matter of fact, I can’t remember a time in our family when we didn’t have a dog. I fed them, walked them, washed and cleaned up after them, played with them, and even slept alongside a few on the floor in our home (but never in our beds). It almost seemed like a family tradition to have a dog in our home. 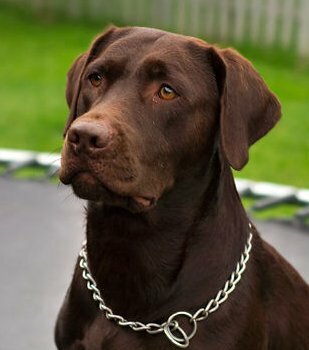 Nearly all of the dogs I remembered carried the family name, King. It didn’t matter if it was a German Shepherd (family favorite), Doberman pincher, or a mutt; his name would usually be King. Later in life, after I was appointed the pastor of our church, I felt a sense of loneliness and abandonment. I had very few friends and I only trusted a small core group of advisors. My early days of pastoral leadership were the worse years of my life. I was angry all the time, inwardly hurting, and openly combative. It is amazing that I and the church survived during the first five years of ministry. I was facing a test of leadership and going through my own personal search of identity. After the death of my parents, I felt I had died with them. I saw everyone as my enemy out to get or destroy me, and on some level, it was true. Yet through all I had been through, God had a plan and purpose for my life, which at that time it was difficult for me to see or understand. One day I was walking along Telegraph Avenue in Berkeley, California, alone, just to get out of my office and away from the pressures of ministry. There was a man sitting near a book store I frequent giving away these beautiful brown Labrador-mixed puppies out of a box he’d carried them in. I was depressed, angry, and frustrated over a long list of church problems, trials, and personal failures I was going through, and having a dog was the last thing on my mind. I don’t know what it is about a puppy that can change a person’s mood, but I felt a smile come over my face that took me back to my childhood and simpler times growing up with my four siblings. I picked up one of the puppies and started to play with it. He licked me in the face, and he had that puppy smell, which filled my senses with the feeling of innocence. I was hooked. I asked the man how much they cost, and he told me he was giving them away. He had nowhere to keep them, and he didn’t want to give them to the animal shelter. I immediately took my new friend back to my office. I named him Max. Max became my church-dog friend and companion. He made friends with the kids at our church. He would run through our church gym, and kids would scream and play with him. They would come to my office and ask to see him whenever they came to church. But as time passed so did my relationship with Max. The only time I had for him was when I came to church. I kept him confine and locked up in the backyard at the church. I took him out infrequently to the park to run and exercise. After awhile I noticed that each time I took Max to the park it was difficult for me to control him or get him to obey and come to me. Max tasted freedom, and he was getting tired of being locked up and left behind at the church at night only to see me for a few hours during the day. The problem was I didn’t spend enough time with him. I wanted Max for selfish reasons. And when Max found the opportunity, he ran away and never looked back. So why do we get angry in the first place? Anger, for many of us, is still a human emotion that will get us into lots of trouble if left uncontrolled. I have friends who tell me that they never get angry or allow other people to make them angry. I hate these people. Not really. I just dislike the idea of someone who is more emotionally stable than I am. I think it is naïve however for Christians to think they can avoid real anger or angry situations. I don’t live in a commune where everyone is walking around with a plastered smile on their faces or in a monastery in peaceful coexistence where everyone prays, thinks, believes, and acts the same. The truth is I live in a fallen world where I encounter daily the vicissitudes of life. Escape has never been an option. On some weird level, there’s something special about this crazy world in which we live. Maybe it’s the reason why God loves us so much and has been so patient to save his creation? He knows we need His help. I can’t always avoid the pain, disappointments, frustrations, and failures of human existence like failed marriages, broken relationships, racism, political/government corruption and evils, religious and sectarian prejudices, sickness, war, poverty, and death. I don’t live in a perfect world. None of us do. It makes me angry when I see nations and countries that have the ability and resources to feed the hungry and poor of the world ignored by the rich and power while hoarding their wealth. I am furious when I see corporations, CEO’s, banks, oil companies, and other greedy corporate executives receive bailouts and political favors from our government and Congress under the guise of free enterprise and capitalism. I get angry at the senseless violence in our communities and cities, in particular black-on-black crime where young black men are dying every day and being incarcerated across this nation. I want to do something. We all want to do something, and we feel angry, helpless, and powerless when our voices go unheard. Who wouldn’t like to wake up in the Garden of Eden? But even in the Garden, the serpent showed up. Sometimes he is not so obvious. He may not be hanging from trees like in the Genesis story. He may be crawling or standing near you waiting to strike and bite you. Anger may manifest itself suddenly and in many ways when we least expect it. Parents experience sudden anger when children are defiant and disobedient. We may find ourselves embroiled in a heated exchange when someone bumps and puts a dent in our new car. There are endless situations and circumstances that may cause us to be angry. Out of control anger is the worse. For every day I allow anger to fester and build, the less likely I’ll be able to control it. Paul warns us not to give Satan a “foothold” in your life. It’s like bringing a stray dog home. Once you start feeding and petting it, the harder it’s going to be to get rid of the flea carrier. Uncontrolled anger leads to stress building up, which causes tension to build up and ultimately explode into violent rage, verbal abuse, and even violence. It’s like trying to take a food dish away from a dog while eating. His growl will make you think twice about touching his bowl. 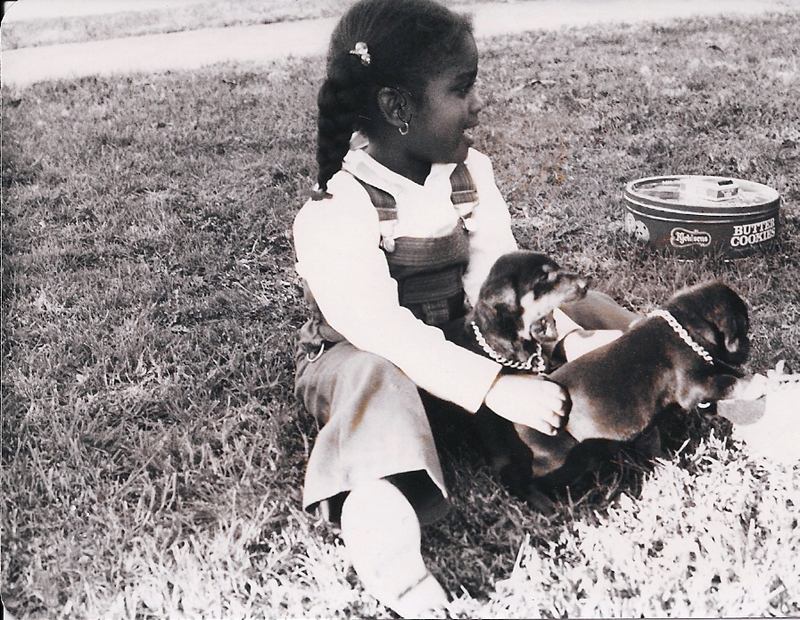 Kelli King (taken in 1978) playing with her uncle’s Doberman puppies, Kilo and Warlock. before the end of the day, but sometimes it’s just not that easy for me. Maybe if I had a dog, I could approach things more calmly? I’ve read someplace that dog ownership may reduce stress and some anger management problems (as long as we don’t take our stress and anger out on our furry friends). We are not all the same. We have different needs and problems, which vary from person to person each day. According to Abraham Maslow’s theory of human motivation, we all have a basic need for love, belonging, and affection. Now, I am in no way suggesting that our four-legged friends can replace human affection or solve all of our problems. I am a man of a particular age with particular needs. However, everyone needs to feel and be loved sometimes, and dogs and cats (and many other pets) may offer this. They can listen to our secrets and will not get up in church to testify about them. They offer friendship and won’t stab you in the back. They are pleased to see us when we arrive home and not wish we would die in our sleep (unless we don’t feed or take them for walks). Lorenz, Edmund Simon. “Tell It to Jesus.” Melodies of Praise. Springfield: Gospel Publishing House, 1957. 196. Abraham Maslow (1908 – 1970)—From 1937 to 1951, Maslow was on the faculty of Brooklyn College. In New York he found two more mentors, anthropologist Ruth Benedict and Gestalt psychologist Max Wertheimer, whom he admired both professionally and personally. These two were so accomplished in both realms, and such “wonderful human beings” as well, that Maslow began taking notes about them and their behavior. This would be the basis of his lifelong research and thinking about mental health and human potential. He wrote extensively on the subject, borrowing ideas from other psychologists but adding significantly to them, especially the concepts of a hierarchy of needs, meta-needs, self-actualizing persons, and peak experiences. Maslow became the leader of the humanistic school of psychology that emerged in the 1950s and 1960s, which he referred to as the “third force” — beyond Freudian theory and behaviorism. Absolutely excellent! At this rate I may become a blogger myself — someone will have to show me how. My friend you have hit upon several thoughts and emotions and mad a homerun. As I have aged along with my friend Pastor Steven King (even though from a distance) I continue to gain inspiration and food for thought. Thanks for hitting a “homerun” again. I can definitely relate to a lot of what you have shared. Thank you for being so transparent. I only wish I had known what you going through at this time. While there have been these times of frustration, disappointment, etc., it has made you the wonderful man, pastor, friend, mentor, confidante, and cousin that you are today. I personally thank god for you. While I don’t suggest you get a dog (you’ve already been down that road-lol) you have definitely hit the nail on the head with “tell it to Jesus”. This was a great read, I could relate to so much. I am a dog lover owning 3 dogs myself I know how they can truly make a bad day seem better. I’m trying to learn how to channel my anger and disappointments. Thanks for the blog please continue I always look forward to them.